Now the regular readers of my blog (yes, you three people ;)) know that I’m buried in berries – strawberries to be specific. It has been a berry good summer. I’ll stop with the puns now. If you buy strawberries regularly, you know that they don’t have a very long shelf life. 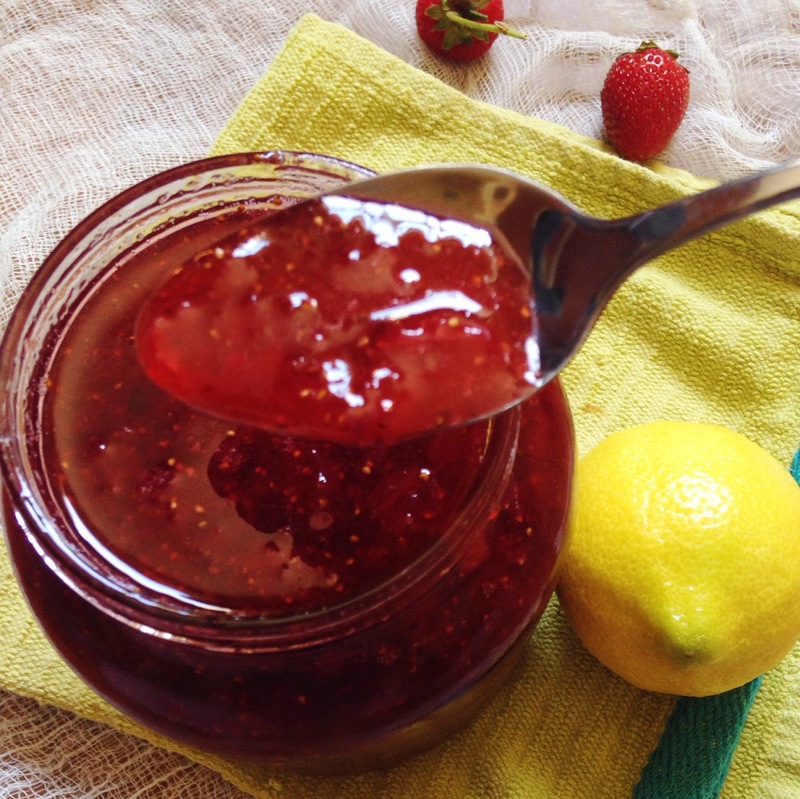 So, the only other thing to do with my almost 4 cups of strawberries, other than eating them for breakfast, lunch and dinner, was to make jam! Put a plate in the freezer (i’ll tell you why later) .Combine the sugar and the strawberries and set aside for 5 mins. Let the berries macerate. Crush the berries with a potato masher. Leave it chunky if you prefer it like that. Now on a low flame, cook the berries along with the lemon juice, zest, cinnamon and vanilla. What the lemon juice and the cinnamon do is cut the sweetness of the sugar, so what you taste is layers of flavor, not just sweet on sweet. Let it bubble away for about 20 minutes. How do you know when it’s done? Now is the time to get that plate from the freezer. Put a drop of jam on the cold plate. 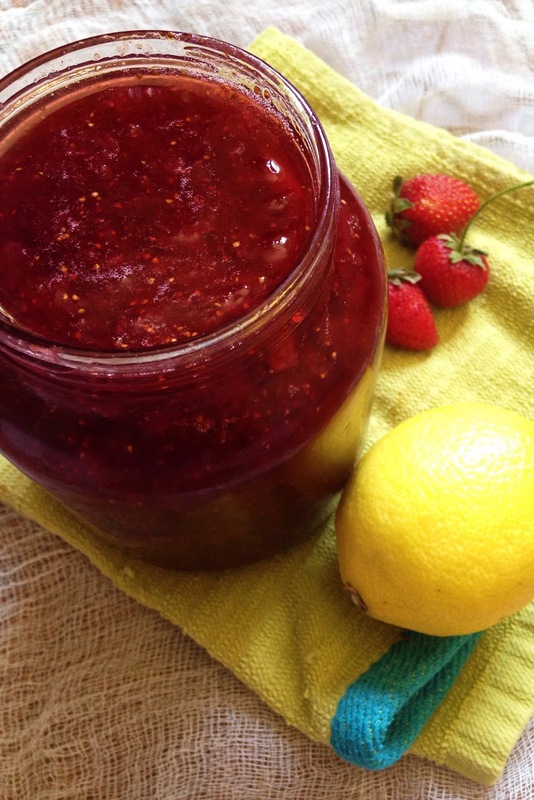 If it gels immediately, your jam is done. (Thanks, Ina Garten). 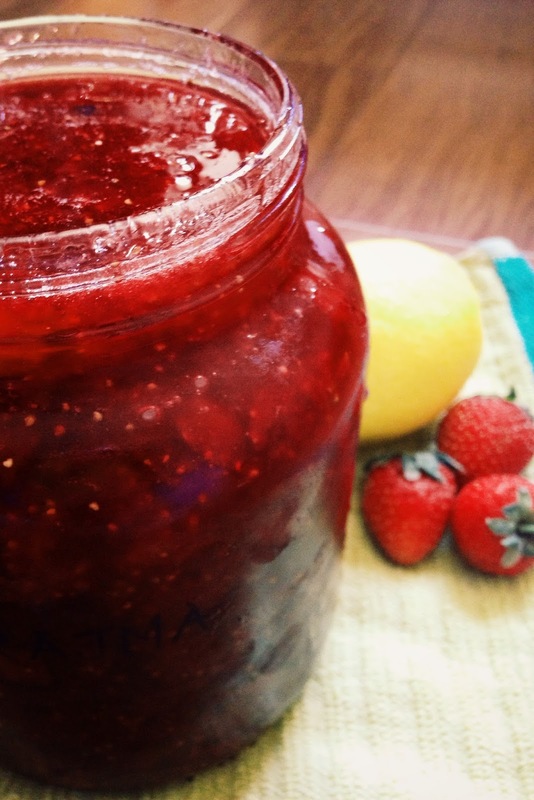 Let the jam cool and store it in a sterilized mason jar. It should keep for about two weeks. Your comment made me smile..Thanks, Tara, you're a dear!